This soufflé dish measures 4 1/8 x 2 (D x H). The bowl has an 8 oz capacity. 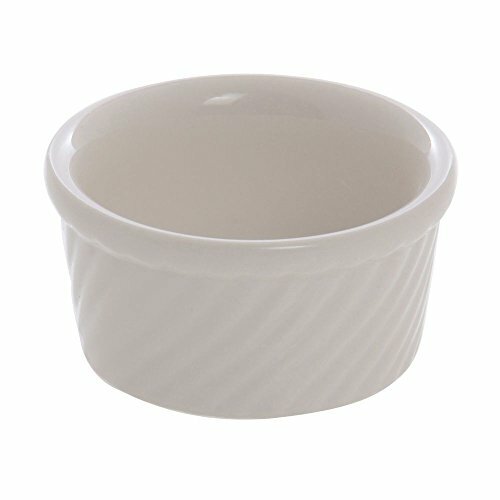 This souffle dish is manufactured by the Diversified Ceramics Corporation. The ovenware is constructed of lead-free ceramic. This soufflé dish is approved for dishwasher use. If you have any questions about this product by DIVERSIFIED CERAMICS, contact us by completing and submitting the form below. If you are looking for a specif part number, please include it with your message.